Spain: "Broccoli shortage and very high prices expected until summer"
"It appears that this situation could last until the summer, since there are currently fewer plantings than usual at this time," says the expert, who nevertheless also reported good news for the vegetable, namely that the broccoli acreage in Extremadura has grown from 1,500 hectares ten years ago to the current 5,000 hectares. Regarding the national production, Javier Bernabéu explains that there was a lot in October, November and December, which was good for a good Christmas campaign. "Exports started at their usual time and have been shipped regularly, and the demand is normal. All the contracts are being fulfilled, although in the lower limits, so nothing is left over," says the secretary of +Brócoli. Despite the aforementioned shortage, Bernabéu claims that consumption in Spain continues to grow at a good pace; a perception which he illustrated during his presentation with the following figure: on average, each Spaniard consumes a "kilo and a half of broccoli per year." This is a positive result, but what's the weight of broccoli in Spain's global agricultural economy? "It is clear that it is a social crop and with high labor needs, which contributes significantly to the social economy. Moreover, and according to official data, the prices obtained from the crop's export amount to around 1 € /kg (including all costs), which results in a good balance for the national economy," says Bernabéu . Also worth noting is the crop's prospects in the short term. In this regard, the significant growth of the productions in Extremadura and in the Ribera del Ebro during the autumn has made it possible to supply good quantities to the processing industry. 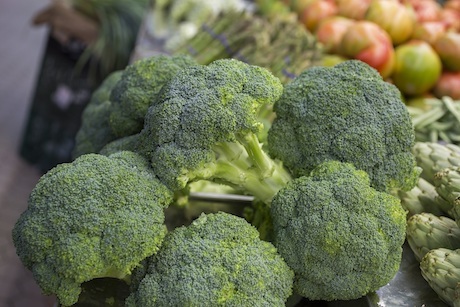 Frozen broccoli is gaining ground and growing quicker than fresh broccoli. "At the moment, the processing industry must be saturated with frozen broccoli, but they won't have new productions until next autumn, with the exception of their own crops. That will possibly lead to shortages next summer."